HITE needs to gather and use certain information about individuals. These can include customers, suppliers, business contacts and other people the organisation has a relationship with or may need to contact. The Data Protection Act 1998 describes how organisations — including HITE - must collect, handle and store personal information. HITE Directors, assistants and associates have some responsibility for ensuring data is collected, stored and handled appropriately. Anyone who handles personal data must ensure that it is handled and processed in line with this policy and data protection principles. The directors are ultimately responsible for ensuring that HITE meets its legal obligations. Handling data protection questions from anyone covered by this policy. Dealing with requests from individuals to see the data which HITE holds about them (also called ‘subject access requests’). Evaluating any third-party services the company might consider using to store or process data. HITE is a lean organisation and the only people able to access data covered by this policy need it for their work. Data is not shared informally. Strong passwords which are never be shared. Personal data is never disclosed to unauthorised people, either within the company or externally. Data printouts are destroyed and disposed of securely when no longer required. Data is not stored on removable media (like a CD or DVD). Data is stored on designated drives and servers or approved cloud services. Servers containing personal data are sited in a secure location. All servers and computers containing data are protected by approved security software and hardware. Ensure our computers are locked when left unattended. Personal data is never shared informally. It is never sent by email unless requested by the individual concerned, as this form of communication is not secure. The law requires that HITE take reasonable steps to ensure data is kept accurate and up to date. We take every opportunity to ensure data is updated. For instance, by confirming a customer’s details when they call. 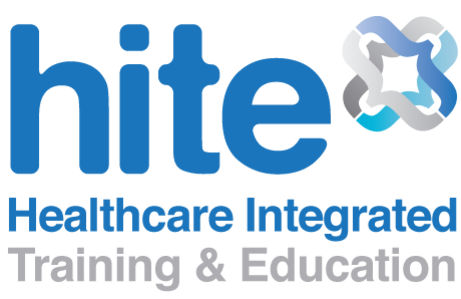 HITE makes it easy for anyone to ensure that the information we hold about them can be updated. Data is updated as inaccuracies are discovered. Subject access requests from individuals should be made by email, addressed to the administrator at info@hiteltd.co.uk. Individuals will be charged £10 per subject access request. The administrator will aim to provide the relevant data within 14 days. The administrator will always verify the identity of anyone making a subject access request before handing over any information. Under these circumstances, HITE will disclose the requested data. However, the directors will ensure the request is legitimate and take legal advice where necessary. If you have any questions / concerns with respect to this policy, please do contact us.